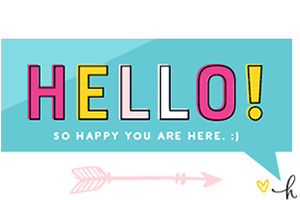 What’s pink(ish) and blue and gold all over!? 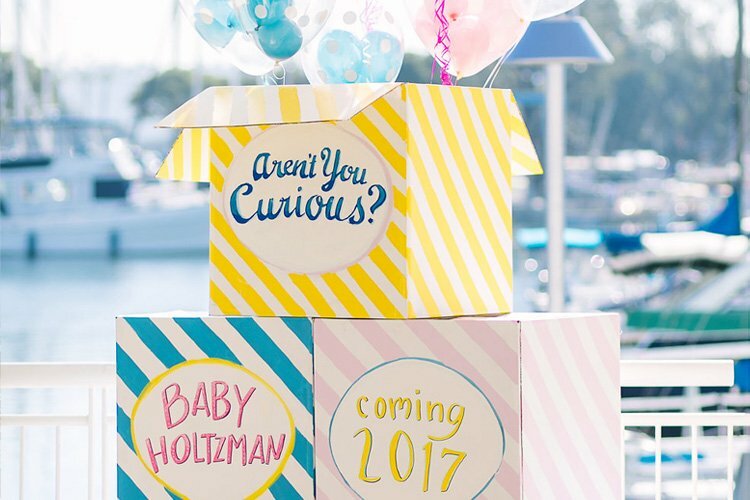 This Bohemian Cobalt & Coral Gender Neutral Baby Shower designed by Lisa Costin of A Charming Fête for a dear (and lucky!) friend. 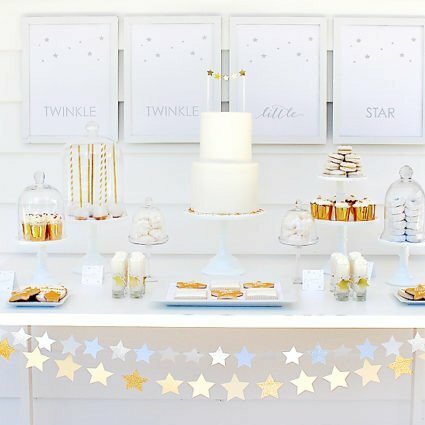 From the glam gold details (utensils, envelope liners, vases & more!) 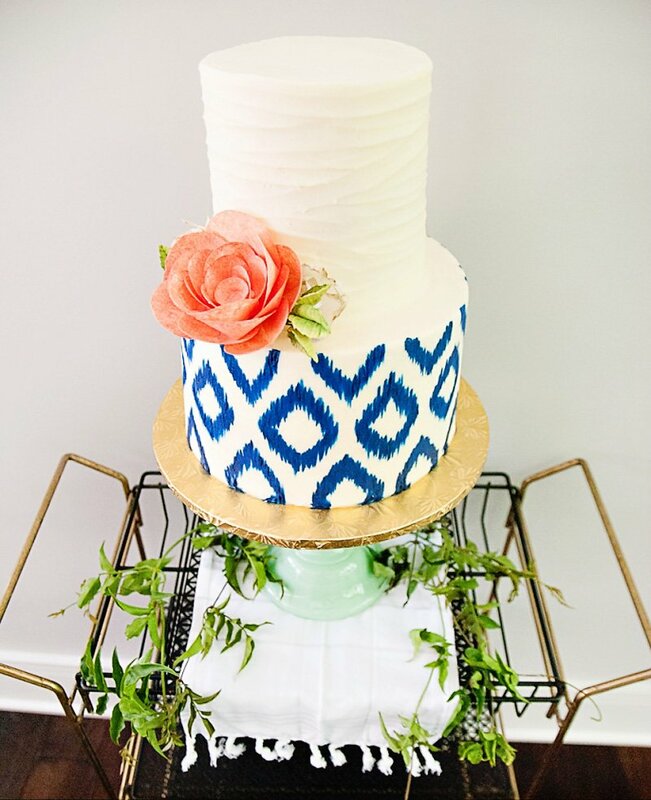 to the modern bold ikat pattern cake from Kelsey Elizabeth Cakes and a chic tablescape sprinkled with feminine charm, I think I’m in love! 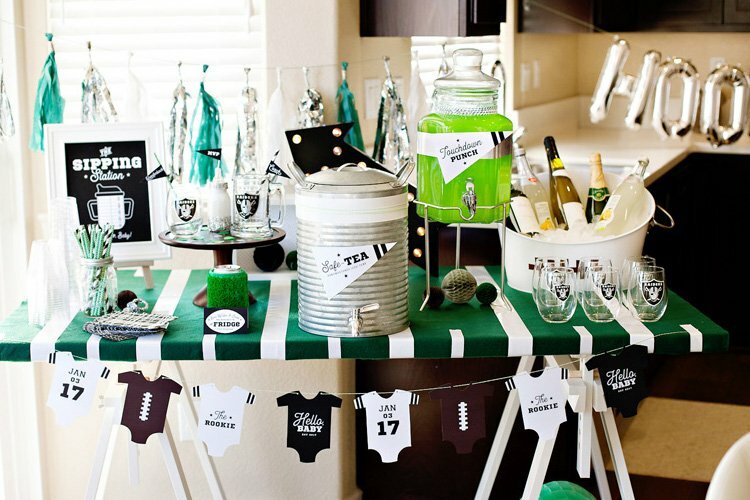 We hosted this modern and bright baby shower for a dear friend of ours and were challenged a bit initially coming up with a fresh and fun (yet pretty) gender neutral design. 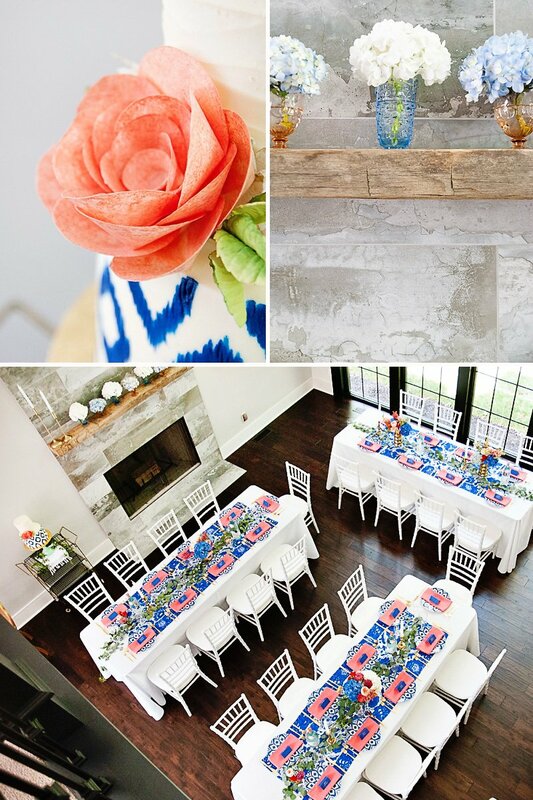 We went for bold graphic patterns in white, cobalt blues, coral, peach, melon/oranges and hints of metallic gold. 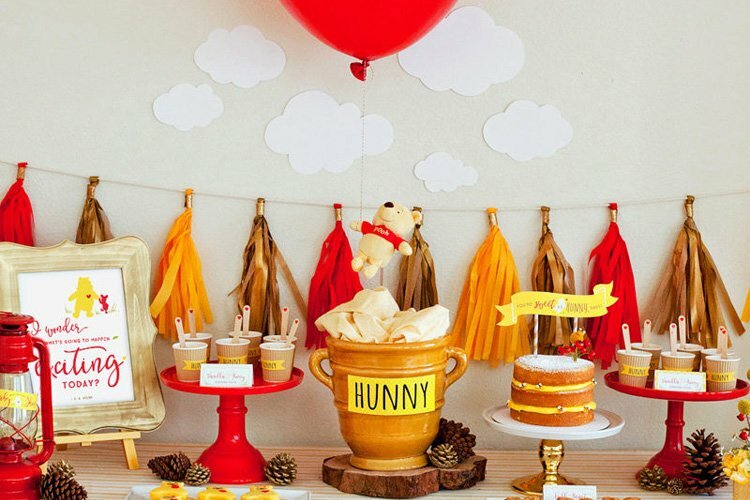 We still wanted it to feel beautiful and special for mama-to-be. 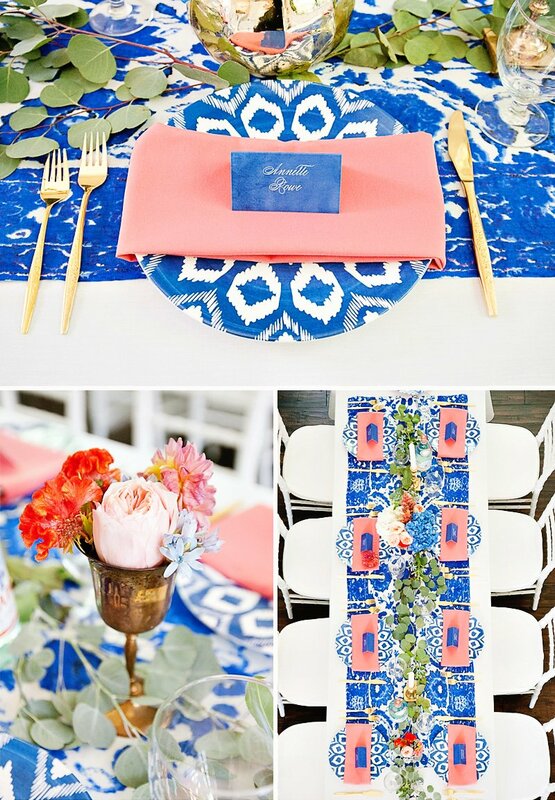 Instead of using standard plates we purchased these ikat pattern dinner plates from Target and paired them with glam gold flatware and a peach/melon colored linen napkin. 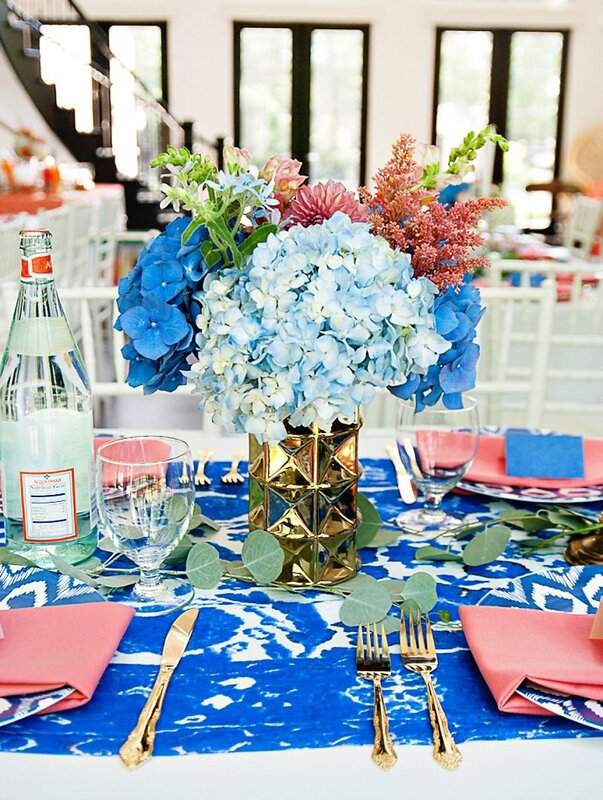 We threw cobalt and white printed scarves from World Market over each of the tables and layered lush fresh flowers in gold vessels and dripping vine greenery. 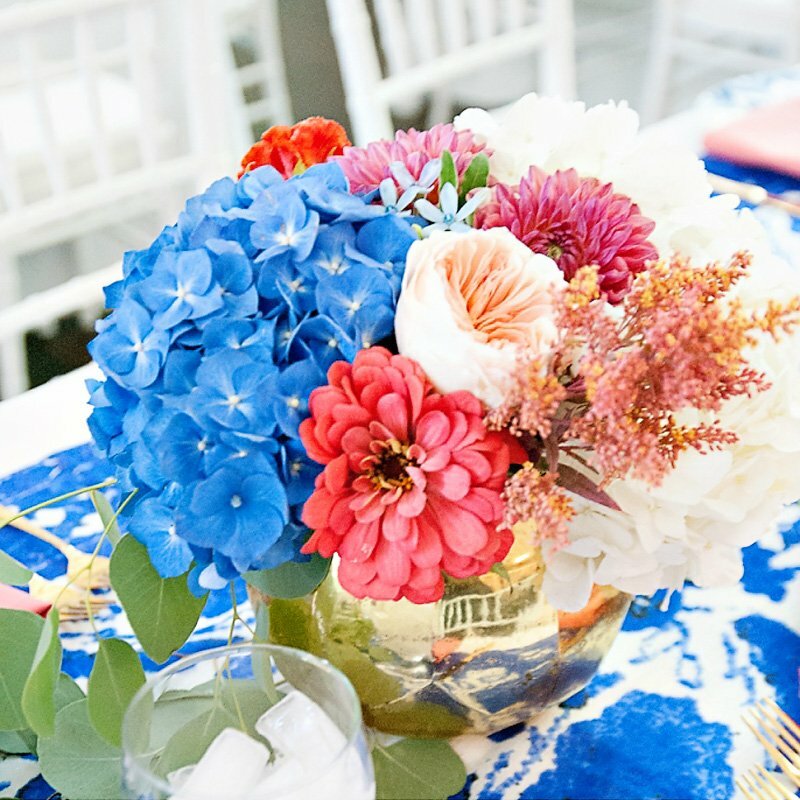 We used the most beautiful deep blue hydrangeas and peach juliette garden roses along with some other local varieties like dahlias and zinnias. 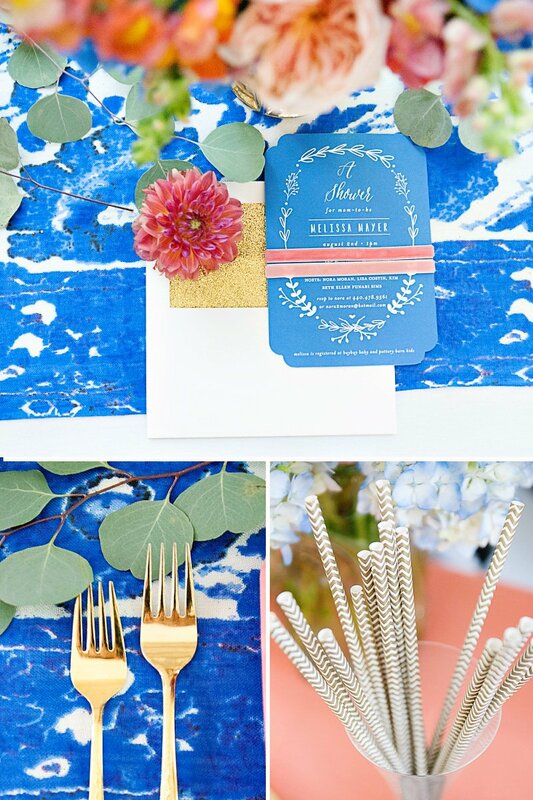 The bold blue main invitation and seating cards were from Minted, one of my favorite online stationary shops. 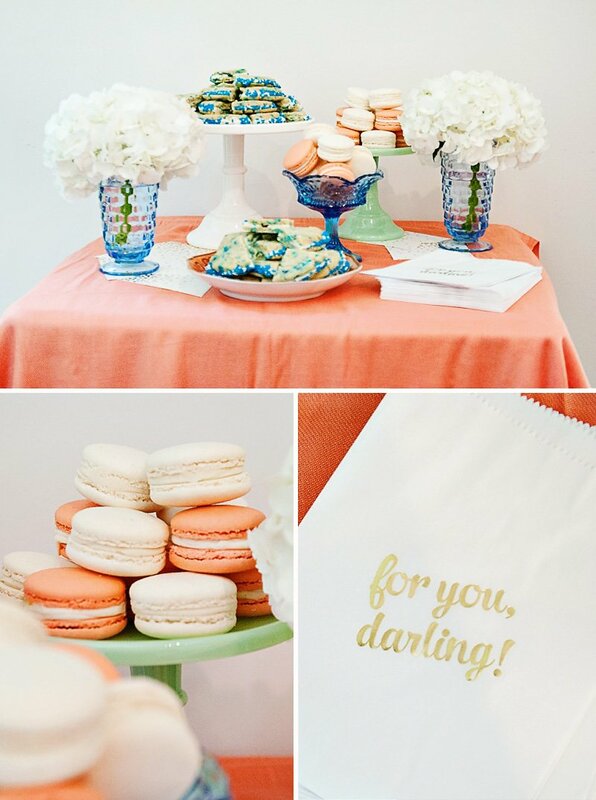 We accented with velvet peach and coral ribbons and gold glitter envelope liner. 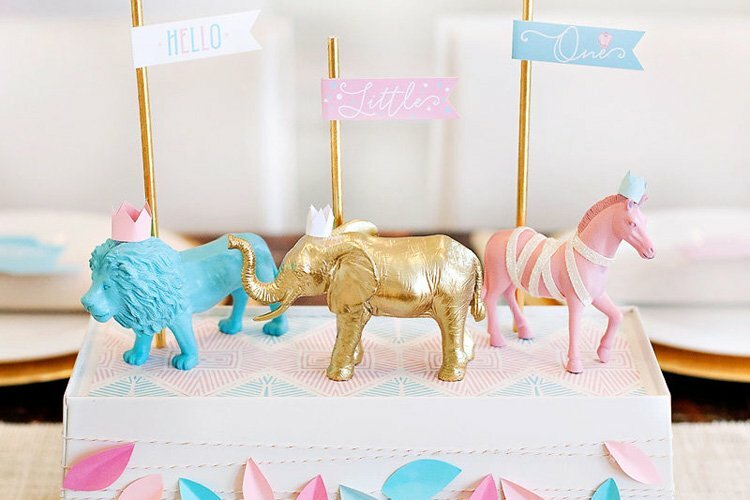 The cake was a gorgeous custom creation by Kelsey Elizabeth Cakes with hand painted details and exquisite sugar detailing. 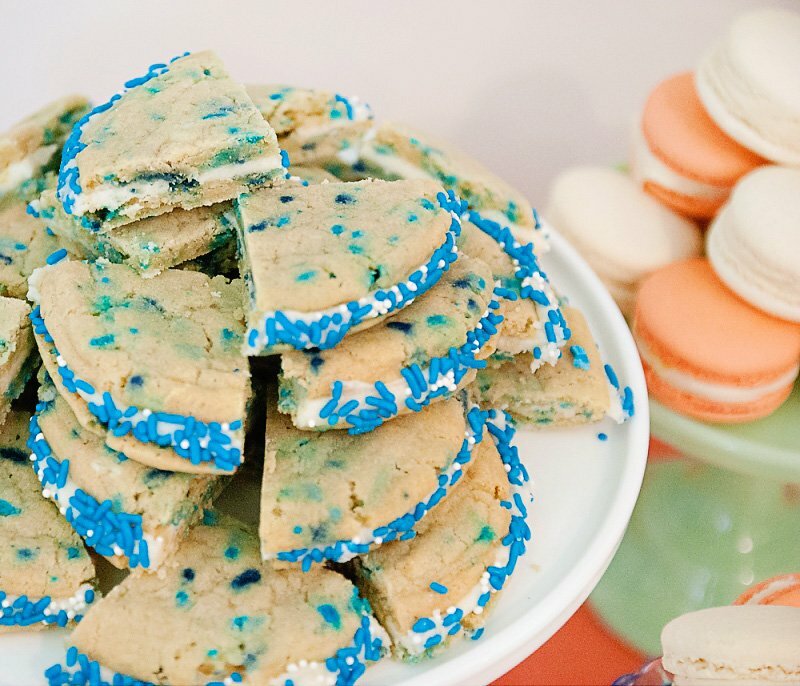 We also offered french macarons and sugar cookie sandwiches to guests. 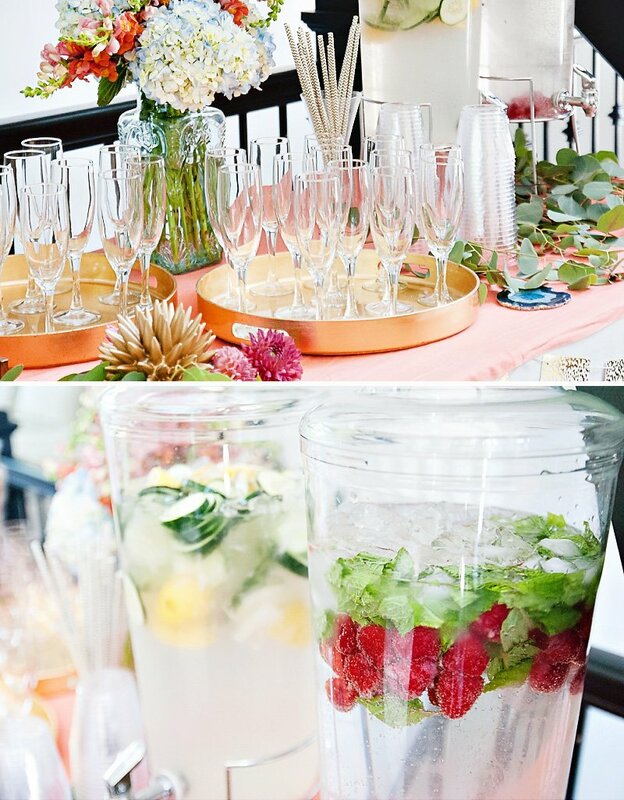 We had a mimosa station with lots of non-alcoholic options as well. The mama-to-be sat in a gold vintage peacock chair as she opened gifts. It was a special day indeed!